1950 Ford Pickup Truck Cab Chopped Body by Ron Cash. One piece body / cab with chopped roof. 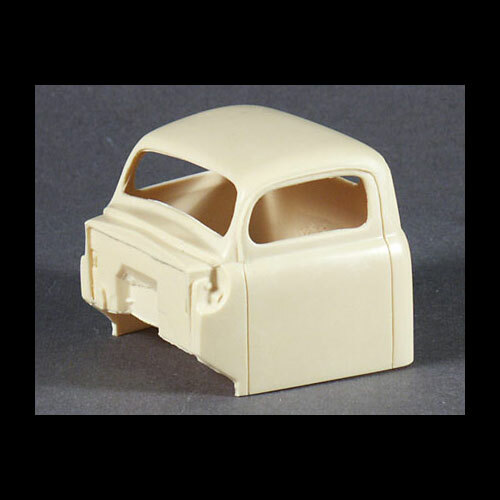 The rest of the donor parts can be obtained from a Revell / Monogram 1950 Ford pickup kit. This resin model / body would require a Heavy Truck model kit or a Light Truck model kit for donor parts to finish.